Get a UL Listed commercial light with the 12" Barn Light Shade and arching gooseneck arm extension. This stylish sign lighting fixture boasts an all-aluminum construction with a rust resistant powder coated finish. Sign Bracket Store offers more than 20 color options online to match your unique design scheme. And add on decorative accessories like wire guards and colored glass globes for a Barn Light with noticeable personality. Each 12" Barn Light is an adept sign or awning light fixture, well suited to commercial outdoor use. Mounting plates are sized to install easily on top of any standard 4" round or octagonal junction box. And standard incandescent lamping is wired for 120V service. For non-incandescent goosenecks including compact fluorescent, LED, or HID options metal halide and high pressure sodium, please call for details. Please note CF, LED and HID gooseneck lights may require a different ballast and mounting procedure. 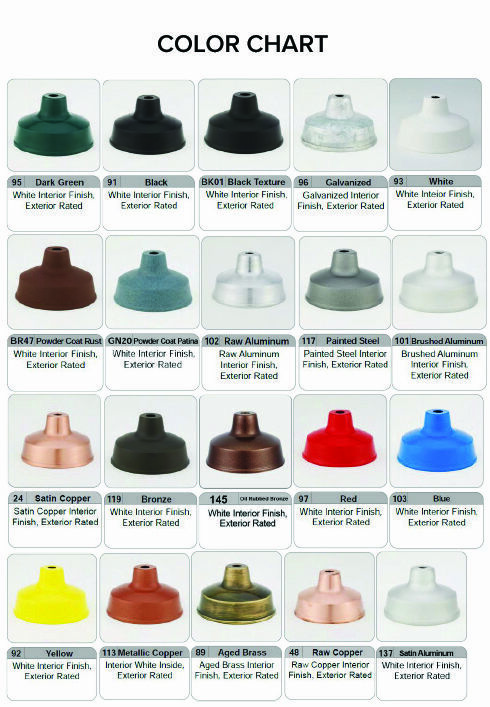 All Barn Light Goosenecks are made to order, UL Listed fixtures.